PRODUCT: Simpson #S10A350T31, 3-1/2 in. X .131 in. 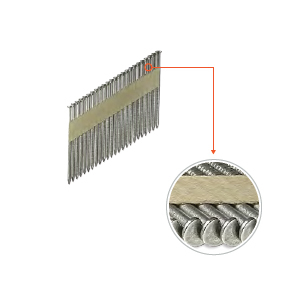 Ring Shank Nails, 16D, 304 Stainless Steel, 31-33 degree Paper Collated, Clip-Head. 1000/Box. Price/Box.